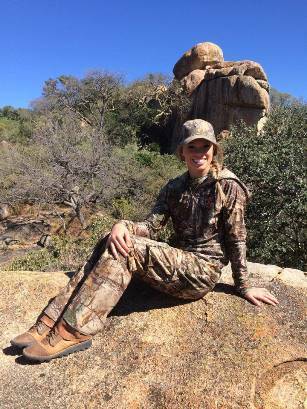 Kendall Jones, from Cleburne, Texas, has been hunting with her father since she was a child, including being on a safari when just six years old. Her latest hunt however has brought her a wave of Facebook attacks, including death threats. Anti-hunters have also created “the official Kendall Jones Hate Page” on Facebook. In an interview with a Houston television station, she said she always gives the meat to local villagers, but does not want to give up her hobby. In fact, she is pursuing a reality television series about her passion. She stated that all of her kills were the result of fair chase. Charisa Argys, a Colorado native, legally harvested a mountain lion and posted the photo online with her father. Then an animal rights activist from Germany led a campaign to spread it to dozens of Facebook pages and Internet sites belonging to international anti-hunting organizations. The floodgates opened with specific threats targeting her physical appearance, her life and her family. “I have never been called so many horrible, hateful names in my life,” said Argys. "It is never okay to harass and even assault someone simply because they choose to live their life differently." said Nick Pinizzotto, president and CEO of the Ohio based USSA. Jana Waller, host of Skull Bound TV, was recently barraged by activists after also posting photos online. She is undaunted by the criticism. “It’s a shame that people who know nothing about hunting and conservation feel the need to spew insults and threats regarding a topic they obviously are uneducated about,” said Waller. “Trying to explain that hunters are true animal lovers is like trying to explain algebra to a two-year old. They’re just not going to get it,” she added. Another high profile hunter, Melissa Bachman, outdoor TV host and producer, came under attack after posting a photo of a male African lion she legally harvested while on a safari. "Each and every hunter needs to band together and support one another in our rights as hunters” said Bachman. "What the antis fail to comprehend is that if it weren't for sportsmen and women, populations of game and non-game species plus the lands they inhabit would be in dire straits today, period." “We have received death threats towards us and other people we have posted on our site,” said Kevin Paulson, owner of HuntingLife.com. “As an organization with the sole mission to protect hunting, fishing and trapping, we see it as our responsibility to step up and lead the effort to put an end to cyber harassment of sportsmen,” added Pinizzotto.